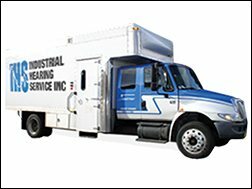 Industrial Hearing Service is a hearing conservation company that has been in business since 1971. We provide on-site hearing testing and other hearing conservation services for companies whose employees work in loud noise environments (ie. airline industry, manufacturing industry, etc.) We are seeking an independent and outgoing person to perform on-site hearing testing and training for our customers. Primarily, technicians will work in our mobile units, although occasionally there may be some office tasks (filing, etc) or clinic work. Certification by the Council for Accreditation in Occupational Hearing Conservation (CAOHC) is a requirement for this position, but is not needed to apply. We will provide this training and certification as needed. Applicants should enjoy travel and working independently. We serve clients throughout the NW Region including Washington, Oregon, Idaho, Montana, and California. Overnight stays are not uncommon. Occasionally, 5 night stays may be required. Schedule varies daily based on customer demand. Our services are offered to our customers 7 days a week and 24 hours a day so you may be required to start very early in the morning or work very late into the evening. There may be occasional weekend work as well. Daily driving of a 30 ft truck is typical. You must be punctual and dependable with excellent customer service skills. Computer knowledge in Word & Excel is required. Spanish speaking is required. We do require a clean driving record and we conduct pre-employment drug screening. Must pass a federal background check. This position is part-time. Pay starts at $13.00/hr unless you have a background in hearing conservation or a Bachelor’s degree in Hearing & Speech, in which case a different salary range would apply. Hours: Mondays, Tuesdays & Friday 9:00am – 5:00pm. We are also looking for experienced sales people. You must have a minimum of 5 years sales experience in the mobile medical service field.